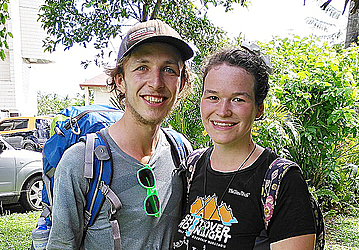 Meet Tom Booth and his partner, Katie Metcalfe, both from England. Dear Tourist met up with the young couple looking at the siapo patterns at the Samoa Tourism Cultural village. Unfortunately, today is their last day in Samoa as they will be flying back home in the evening. The young couple have been on the island for quite some time. 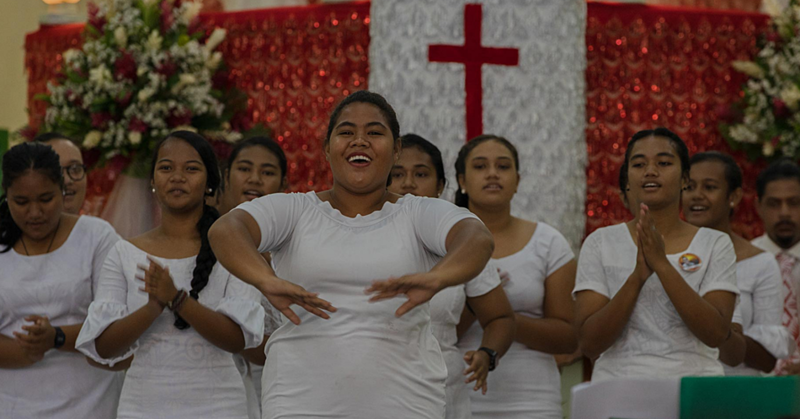 “We arrived in Samoa just over a month ago and we leave today so you caught us in a good time,” said Mr. Booth. “When we were in New Zealand, we knew that we were going to do some more travelling and we thought that because England is so far away, it seemed really obvious for us to come to a Pacific island. 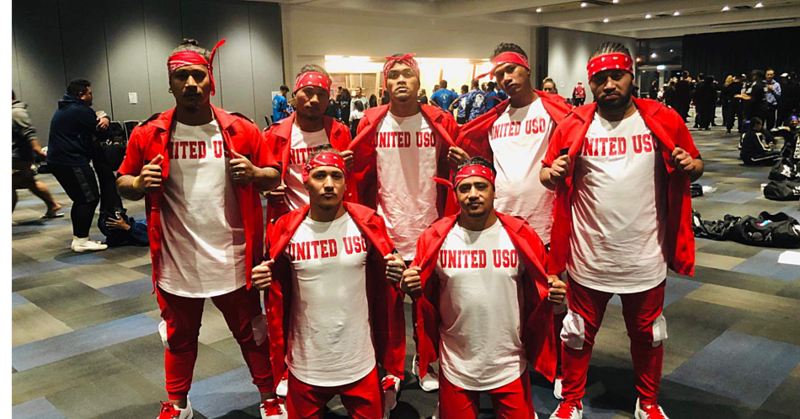 “We picked Samoa because of an event that we saw happening in Manase and we liked the idea of Samoa because it was little less commercial than Fiji. “We also saw that Fiji had all sorts of things and that was the part that we didn’t like, so we said Samoa looks a bit calmer and authentic so we decided to come here. “We are the kind of people who like to take their time in places, hence why we spent a month here. 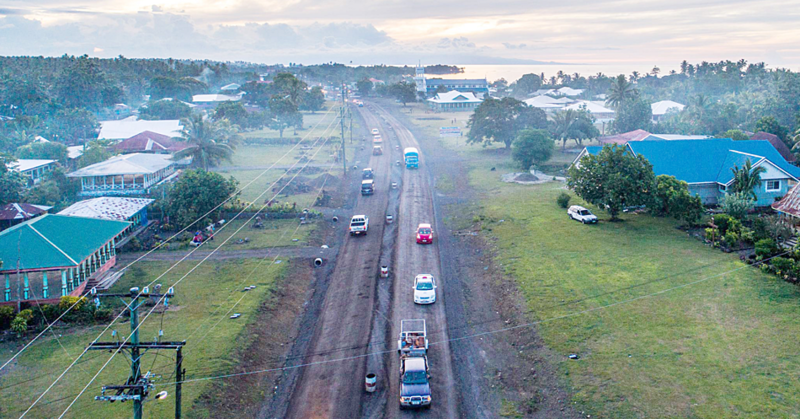 We spent two weeks in Upolu and then two weeks in Savaii. “For that whole month, we have spent a lot of time doing nothing which was really good. “We were just chilling out and a lot of the days not really doing much, but we really enjoyed that. “We snorkelled for the first time, did a bit of hiking and it was really nice to spend a few days in each place. Asked for their favourite foods, the young couple opted for palusami. “We were a bit concerned at first because we’re both vegetarian, and we heard that might be a problem, but we found it really easy and all the accommodations we stayed at were really friendly and that made it easier for us. “Because there is a lot of traditional food -- which is mainly vegetables and then fish -- it was just easy and there was always so much available for us to eat. “We also love the koko samoa and most especially, the cocoa rice (koko araisa). So what lessons will they be taking home? “From this trip, we learnt a few things about the pace of life,” said Mr. Booth. “It was really nice to kind of slow down, even in Apia, although it is a city. We expected it to be busy and although it has that hustle and bustle about it, it’s still pretty laid back and so we liked that a lot. “Where we come from, people don’t actually concern their parents with their troubles and they each have their own families and are just content with that. “Whereas here, there is so much more sharing and everyone tends to be in this very similar place and there’s so much more people do to help each other out. “The kids also have so many people to play with and that’s really nice. “So we will miss this place and we will definitely recommend Samoa to our families and friends back home.